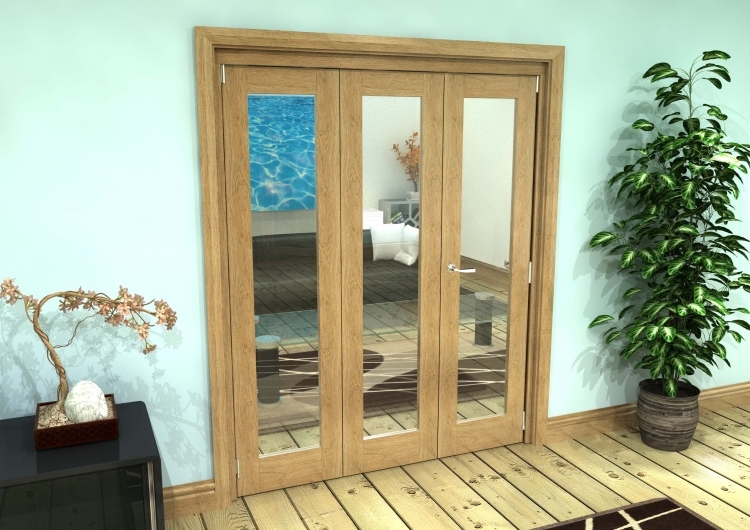 b) 3 x 533mm x 1981mm x 35mm thick Glazed Prefinished, Engineered Oak solid core doors, with toughened glass. hese sets are also ideal, where you are fitting them onto / over an existing floor covering - where the gap below the doors can be kept to a minimum. Fitting instructions supplied. Please note all our sets are fully reversible so you can hang the doors folding to the left or right.